CHATTING in Cuba without any need for INTERNET access IS NO LONGER A DREAM. 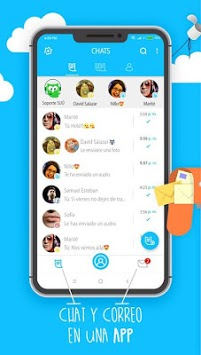 SIJÚ is an instant messaging application currently available for Android, which allows you to use your connection (4G / 3G / 2G / EDGE or Wi-Fi when possible) to exchange texts and share multimedia content with your friends within Cuba. Because we don't like to wait either: If your family member has data coverage in their area, we guarantee INSTANT messaging chat in real time! 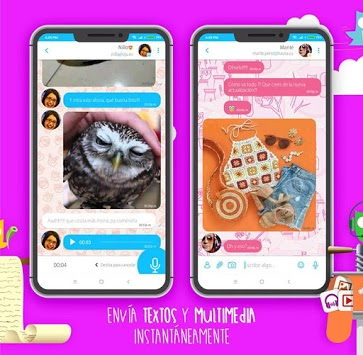 ● SIJÚ automatically compresses your multimedia files (voice and photos), making it possible to upload and download them through data networks where the connection speed may be a problem. ● As long as your family member has an available connection (3G / 2G / EDGE or Wi-Fi, when possible), SIJÚ will receive your messages instantly. 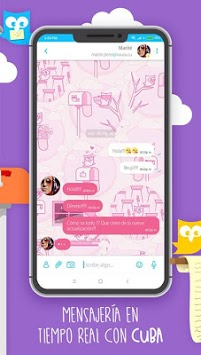 ● You will quickly know who has received your messages thanks to SIJÚ confirmations. ● Chatting with your Sijú and Nauta contacts in group conversations will make communication with your friends and family easier. and much more: You can block contacts, select your theme, share contacts, set an image as your custom background, customize your notifications and much, much more. Downloading the app is completely free. But you will need to pay a monthly subscription fee of € 2.50 to get this incredible experience and unlimited messages with your relatives in Cuba without them having to connect to the Internet. * Your cellphone operator may apply charges for mobile data usage. Contact your operator for more information. or visit http://siju.es if you need assistance. What are you waiting for?! Chat with SIJÚ!